US Rep. Anthony Brown, who represents Maryland’s 4th District, has been named vice chairman of the House Armed Services Committee, Maryland Matters reports. 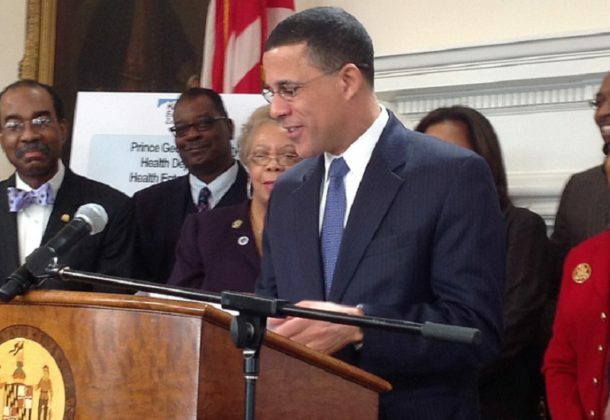 A colonel in the Army Reserve, Brown served in the House of Delegates and as lieutenant governor. A deal was reached over the weekend to reopen the federal government, ending the longest partial government shutdown in history, reports The Washington Post. Many cities still fear the damaging financial effects of the shutdown that will extend beyond the reopening of the government, reports The Hill. US officials said that American and Canadian fighter jets were scrambled after two Russian heavy bombers entered Canada’s air defense identification zone on Saturday in the Arctic region, reports Fox News. Naval Air Forces Atlantic says the remaining single-seat, twin-engine, supersonic, all-weather, carrier-capable F/A-18C Hornet fighter jets will take their last flight with Strike Fighter Squadron 34, reports Navy Times. The Navy will say farewell in a Feb. 1 ceremony at Naval Air Station Oceana. The Navy is refitting its weapons testing and research site at China Lake to begin hosting hypersonic weapons testing from a variety of platforms, including undersea launchers, reports Breaking Defense. Undersecretary Matthew Donovan said the Air Force is moving forward with several key IT changes for the coming fiscal year, reports Defense Systems. Donovan said the service planned to develop structured and enforceable data standards that allow diverse systems to quickly communicate, communicate, and merge and extract data, and use industry to provide network connectivity and IT services as part of the IT-as-a-service initiative. It is not the federal government shutdown that is holding up $400 million in proposed disaster relief for Tyndall Air Force Base in Florida, but a dispute between a private housing contractor and one of the company’s creditors, reports The Panama City News Herald. Officials say the situation could threaten long-term future operations, including the deployment of three F-35 squadrons in 2023. An analysis by the 2018 Global Defense Market Yearbook reveals the largest importers of US weapons from 2008 to 2017, reports Yonhap News Agency. Saudi Arabia topped the list, followed by Australia, South Korea, and the United Arab Emirates. Chinese company Alibaba criticized the Trump administration’s treatment of Chinese technology firm Huawei, attacking what it called “politically motivated” measures meant to curb the firm’s access to western markets, reports The Hill. The Trump administration had launched an investigation of Huawei over allegedly stealing trade secrets. Some advice to President Trump from British Foreign Secretary Jeremy Hunt: Take advantage of international alliances, because “America has a lot of friends all over the world that share American values,” reports Politico. North Korean leader Kim Jong Un is preparing for a second summit with President Trump, reports Military Times, saying he’ll “wait with patience and in good faith” to work toward a common goal. USNI News reports the investigation into Fat Leonard corruption scandal has wreaked havoc on the Navy’s ability to fill senior leadership roles, stalled hundreds of officers’ careers, and thinned out the service’s flag ranks. For the past 18 years, Military Times Service Members of the Year awards have honored outstanding military members from each branch of service. They are selected based on exemplary military service that goes beyond the call of duty, to include their community involvement and volunteer work. Click here to nominate someone. The Calvert Recorder reports that the Southern Maryland Electric Cooperative will participate in a program that could bring electric vehicle charging stations to public facilities, businesses and homes throughout the region. The Boeing Co., Seattle, Washington, is awarded a $2,458,707,154 modification to a previously awarded firm-fixed-price, cost-plus-fixed-fee contract (N00019-14-C-0067). This modification provides for the production and delivery of 19 P-8A lot 10 aircraft to include 10 for the Navy, four for the government of the UK and five for the government of Norway. In addition, this modification includes engineering change proposal 4 SilverBlock for the government of the UK and Lot 10 segregable efforts consisting of unknown obsolescence, Class I change assessments and obsolescence monitoring. Work will be performed in Seattle, Washington (80.6 percent); Baltimore, Maryland (2.6 percent); Greenlawn, New York (2.4 percent); Cambridge, UK (1.6 percent); and various locations within and outside the continental US (12.8 percent), and is expected to be completed in March 2022. Fiscal 2019 aircraft procurement (Navy); and Foreign Military Sales (FMS) funds in the amount of $2,458,707,154 will be obligated at time of award, none of which will expire at the end of the current fiscal year. This modification combines purchases for the Navy ($1,256,865,203; 51 percent); the government of Norway ($694,971,086; 28 percent); and the government of the UK ($506,870,865; 21 percent), under the FMS program. 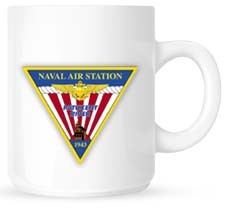 The Naval Air Systems Command, Patuxent River, Maryland, is the contracting activity. Lyon Shipyard, Inc., Norfolk, Virginia, is awarded a $7,994,140 firm-fixed-price, single-award contract for the repair, maintenance and modernization of USNS Prevail (TSV 1) during the ship’s docking phased maintenance availability. The work of this contract consists of temporary services, structural repairs, hull gauging, electrical, mechanical, piping and other miscellaneous repair work. Work will be performed in Norfolk, Virginia, and is expected to be completed by July 2019. Fiscal 2019 operations and maintenance (Navy) funding in the amount of $7,994,140 will be obligated at time of award and will expire at the end of the current fiscal year. This contract was competitively procured via the Federal Business Opportunities website, with two offers received. This contract was procured as a competitive small business set-aside under the North American Industry Classification 336611 for shipbuilding and repair. The Mid-Atlantic Regional Maintenance Center, Norfolk, Virginia, is the contracting activity (N50054-19-C-0002). Military Produce Group LLC, Norfolk, Virginia, is being awarded an indefinite-delivery, requirements type contract to provide fresh fruits and vegetable products for commissaries located in the east areas of the continental US. The award amount is estimated at $146,066,237 for the base year. Actual obligations using Resale Stock Activity Group, Defense Working Capital Funds will occur upon issuance of delivery orders during the period of performance. Contract funds will not expire at the end of the current fiscal year. The contract is for a 24-month base period beginning Feb. 11, 2019, through Feb. 7, 2021. The contract includes three one-year option periods. If all three option periods are exercised, the contract will be completed Feb. 4, 2024. The Defense Commissary Agency, Fort Lee, Virginia, is the contracting activity (HDEC02-19-D-0001). AECOM Management Services Corp., Germantown, Maryland, was awarded a $9,050,209 firm-fixed-price contract for the purchase of linear demolition charge systems, spares and data items for the Assault Breacher vehicle weapon system. One bid was solicited via the internet with one bid received. Work locations and funding will be determined with each order, with an estimated completion date of Jan. 17, 2024. US Army Contracting Command, Warren, Michigan, is the contracting activity (W56HZV-19-D-0003). Thales Defense and Security Inc., Clarksburg, Maryland, is awarded a $30,931,029 indefinite-delivery/indefinite-quantity contract for the continued procurement, manufacturing, testing and delivery of High Frequency Distribution Amplifier Group system components and engineering services. This contract has a five-year ordering period up to the contract award amount. Work will be performed in Clarksburg, Maryland (55 percent); and West Sussex, United Kingdom (45 percent). Work is expected to be completed by January 2024. Contract actions will be issued and funds obligated as individual delivery orders. Fiscal 2018 shipbuilding and conversion (Navy) funds will be placed on contract with an initial delivery order issued shortly after award of the base contract. Contract funds will not expire at the end of the current fiscal year. This contract was not competitively procured because it is a sole-source acquisition pursuant to the authority of 10 US Code 2304(c)(1) – only one responsible source (Federal Acquisition Regulation Subpart 6.302-1). The Space and Naval Warfare Systems Command, San Diego, California, is the contracting activity (N00039-19-D-0001).